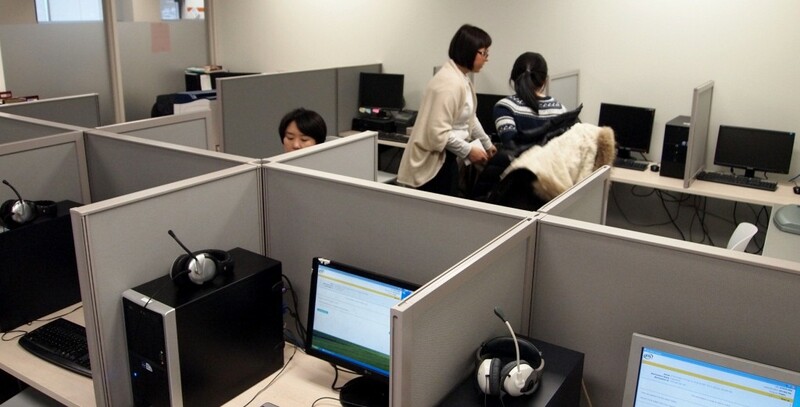 But EC Toronto doesn’t just offer test dates for TOEFL exams. You can also take a TOEFL course at EC Toronto to reach your target score. 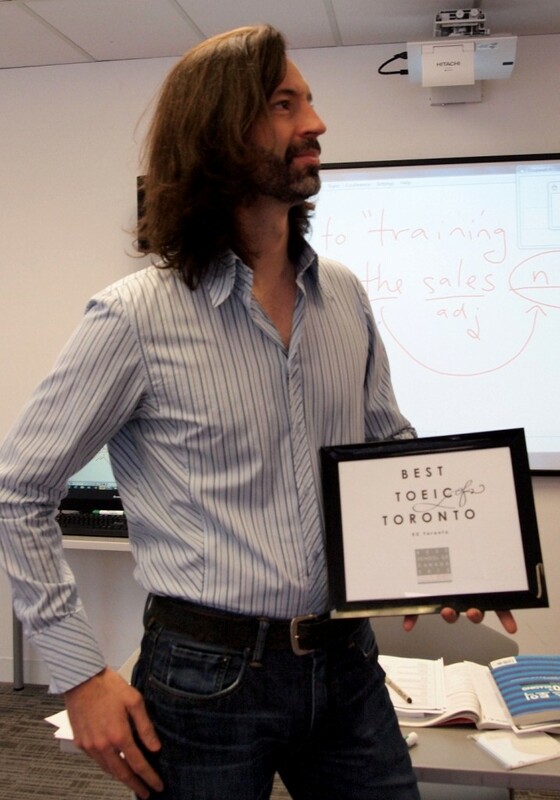 Our amazing TOEFL teachers Andrew and Martin have been at EC Toronto for a long time – they are our TOEFL professionals. 🙂 So if you are not sure whether TOEFL is the right course for you then just take a trial class with Andrew and Martin. You will get to know their teaching methods and the content of the right TOEFL preparation for a successful exam result. 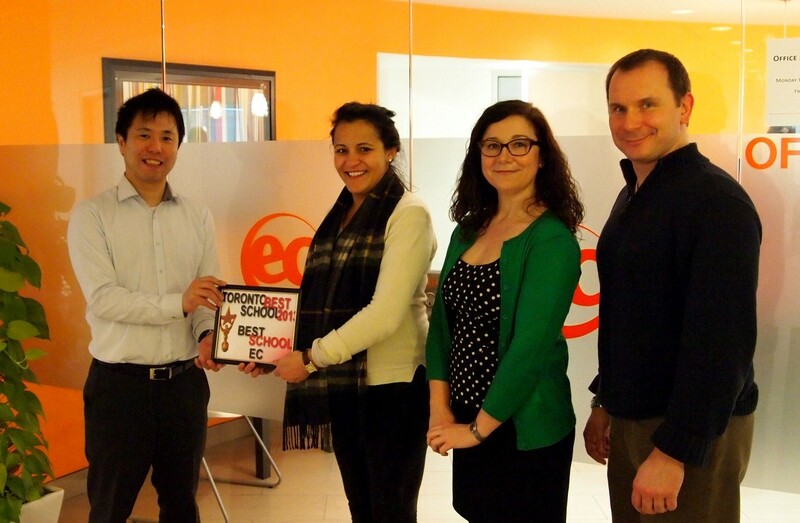 EC Toronto was recently voted as the best English language school in Toronto in 2012 by one of our largest local agencies. 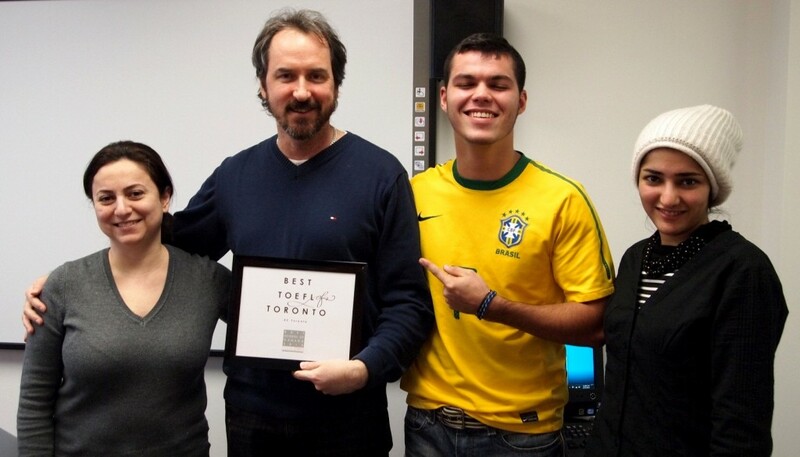 Furthermore, our TOEFL programme was voted as the best TOEFL programme in the city in 2012 by TWO local agencies. We are proud to offer good educational quality to our students but we didn’t expect such success. Thank you for your confidence! 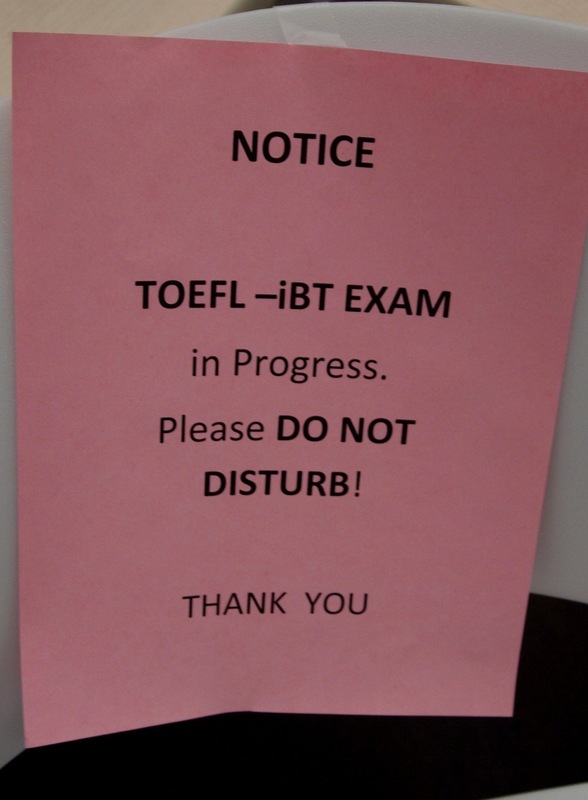 Please keep this final phrase in your mind: A good TOEFL score open doors for universities and good jobs. 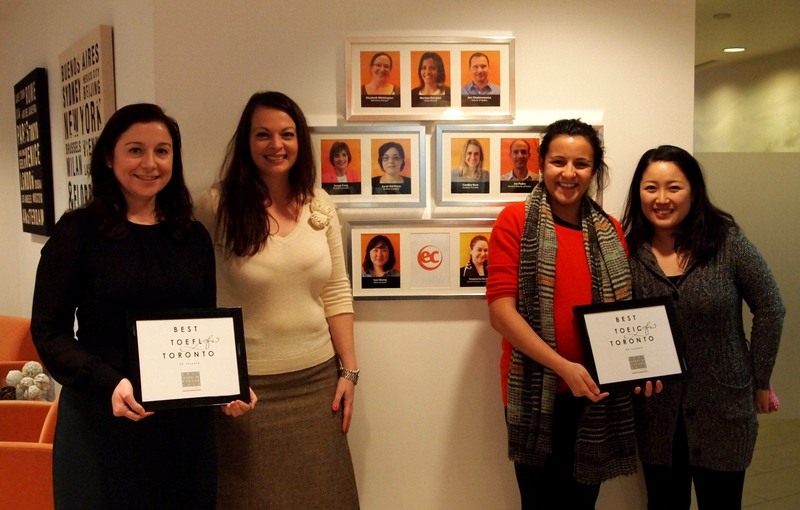 Start your career by taking a TOEFL course at EC Toronto – your language school in Toronto! Our lovely student counsellors on the 4th floor and our Higher Score® Coordinator Sari are glad to help you with any issues related with TOEFL courses and exams.